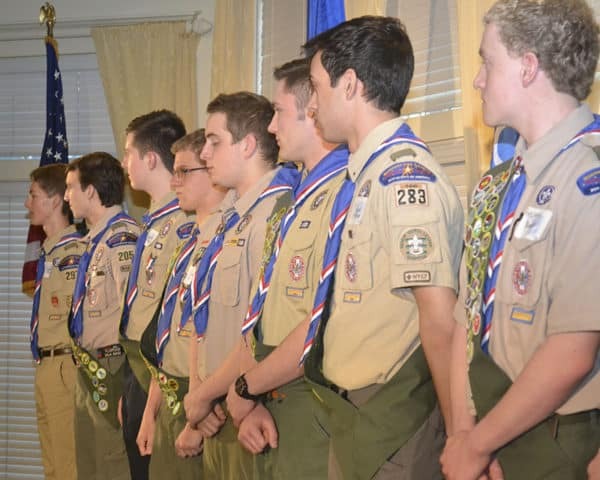 Eagle Scout Scholarships—Each year up to twenty four $1,000 Scholarships and one $2,000 scholarship are awarded to graduating high school seniors in Northern Star Council. Endowed Scholarships include Camp Staff, Technical School, Southeast Asian Scout and more. Applications are available online starting October 15, 2018 and close January 15, 2019. Applicant was registered in 2018 or is currently a registered member with Northern Star Council, BSA. The Scout must complete all application elements (Online information, the application on this page, and supplemental material) personally. Find all of these items online. Applicant has been granted the Eagle Scout rank, or verified that their application for Eagle Scout rank has been received at the national office. Applicant is a graduating high school senior entering a post-secondary school in the year the scholarship is awarded. Scholarships are awarded only to those applicants who graduate from high school in the calendar year in which scholarships are presented. Exception – An applicant whose Eagle Scout Board of Review is held after February 1 of their high school graduating year may apply the following year. Eligibility statement must be postmarked no later than January 15, 2019 or submitted in person to a Council office by January 21 to be considered. Online portion of the application must be completed by 11:59 p.m. on January 15. You will not have access to the online portion after this time. Applications become the property of the selections committee and will not be returned to the applicant.